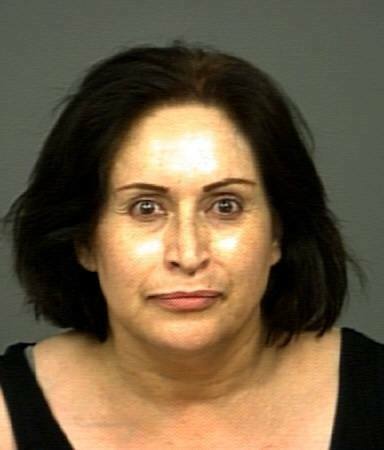 A woman identified as Cristina Fernandez Padilla, 50, of Watsonville has been arrested for a series of bank robberies along the Central Coast and in Modesto. Dubbed “The Central Coast Bandit,” Padilla is believed to have been involved in six robberies and one attempted robbery. The San Luis Obispo County Sheriff’s Office announced the conclusion of a multi-agency coordinated effort to capture the Central Coast Bandit which culminated Fri, Aug. 23 following a series of events which began in the City of San Luis Obispo. Just before 5:00 p.m., a woman matching the description of the Central Coast Bandit entered the Golden 1 Credit Union at 852 E. Foothill. The woman was recognized as she walked out to a parked vehicle. As she left, the vehicle description and license place was provided to the San Luis Obispo Police Dept. which then located the vehicle in their city. When officers attempted to stop the vehicle, she fled and they pursued northbound on Highway 101 to the top of Cuesta Grade. The suspect vehicle was later spotted on Highway 101, still northbound, by the Atascadero Police Dept., officers of which initiated a second pursuit. This pursuit continued through their city at times leaving Highway 101 and entering surface streets and parking lots. As the vehicle continued northbound, the California Highway Patrol took over the pursuit, which ended in a collision near 35th and Pine Streets in Paso Robles, after reaching high speeds on surface streets there, including one intentional ramming of a civilian vehicle at an intersection near 24th and Riverside in Paso Robles. A woman matching the description of the Central Coast Bandit was take into custody at that point and identified as Cristina Fernandez Padilla. Padilla was taken to Paso Robles Police Dept. Following interviews, she was arrested for the robberies committed in Atascadero, Nipomo, Paso Robles and Pismo Beach. She was also arrested for felony evasion and assault with a deadly weapon other than a firearm for the pursuit and intentional ramming of the vehicle in Paso Robles. She was booked into the SanLuis Obispo County Jail without incident; bail was set at $290,000. Search warrants were prepared and served on Padilla’s residence and vehicle in Watsonville and the vehicle she was driving at the time of her arrest. Additional investigation and follow-up interviews are continuing, as well as a review of the entire case for determination of State or federal prosecution. The multi-agency investigation into the series of bank robberies began in February of this year and involved the Pacific Grove Police Dept., Atascadero Police Dept., FBI, San Luis Obispo County Sheriff’s Office, Paso Robles Police Dept Modesto Police Dept, Pismo Beach Police Dept and San Luis Obispo Police Dept.